This is the CookieA August sock club shipment. The yarn is from A Verb for Keeping Warm. It is 70% superwash Merino, 30% silk called Metamorphosis. 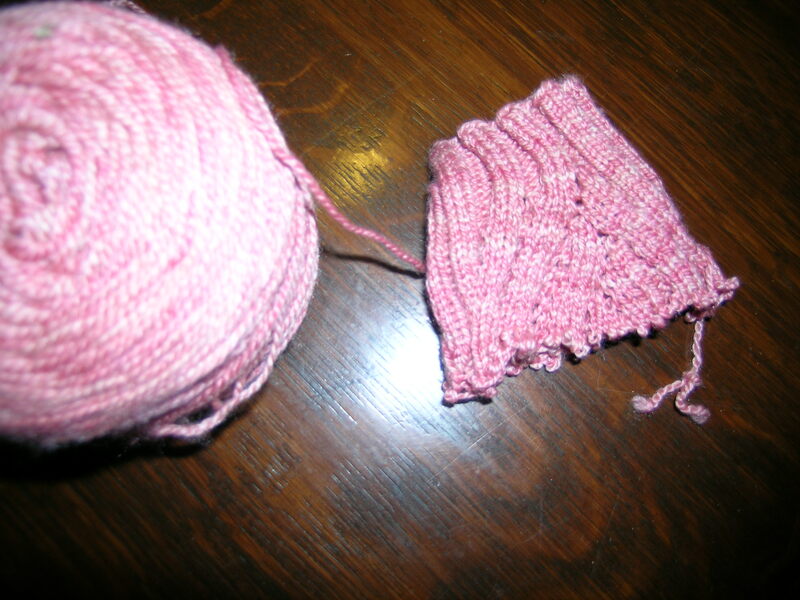 And, it is not fun to knit socks with, it is very stiff and hard to manuever on size 1 needles. Usually I try to use the yarn sent for the pattern given, thinking that I will be able to gift them if they do not suit my tastes. People also talk about how the socks “grow” after finishing. I started making the large size, and even before any growth, realized that these were going to be too big. I am afraid that this yarn is destined to become something else. Perhaps a dreaded shawlette, since there is only 385 yards.